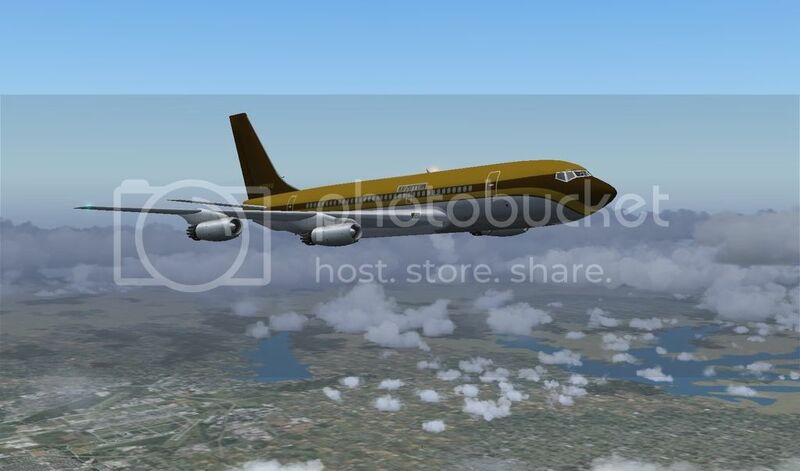 Here I am heading out of Dallas (KDAL) for Atlanta on the first leg of the concert tour. For the schedule I simply looked up Led Zeppelin 1973 tour on Wikipedia and they have all the locations. I plotted them on the map and coud pretty easily figue out the schedule based upon their plan to operate out of Dallas, Los Angeles, Chicago and New York. Useless trivia: The first concert I ever saw was Led Zeppelin in 1971 in Buffalo NY. Was, and still is, the best concert I ever saw! station_load.0 = "210.0, 54.0, -1.5,	0.0, Captain"
station_load.1 = "210.0, 54.0, 1.5,	0.0, Co-Pilot"
station_load.2 = "210.0, 51.0, 1.5,	0.0, Flt. Engineer"
station_load.3 = "510.0, 40.0, 3.0,	0.0, Fwd. Galley"
station_load.4 = "300.0, 48.0, -2.5,	0.0, Fwd. Cabin Crew"
station_load.5 = "1900.0, 43.3, -5.0,	0.0, pax x10"
station_load.6 = "1900.0, 20.9, 0.0,	0.0, pax x10"
station_load.7 = "1900.0, 4.1, 0.0,	0.0, pax x10"
station_load.8 = "1900.0, -29.3, -5.5,	0.0, pax x10"
station_load.9 = "510.0, -32.9, 3.0,	0.0, Aft Galley"
station_load.10= "300.0, -39.0, -2.5,	0.0, Aft Cabin Crew"
station_load.11= "4000.0, -5.5, 0.0,	0.0, Baggage"
This reflects a load of 40 passengers plus about 2000 lbs of stuff in the belly. Normally they didn't carry baggage except when relocating to a new base/hotel. The equipment all went by trucks to the next venue. So the airplane was naturally light. You don't need full tanks, so I try to use 70% fuel or less. This will put you around 185,000 lbs, well below the 229,300 lb max. The difference is a rotation speed of 121 knots and a terrific climb rate. I see M.60 to FL200 at 6000 fpm, then tapers off. At FL330 I set EPR of about 2.2 and a fuel flow of 2500 pph per engine. This gives me a solid Mach .81. The B720 was faster than the 707 slightly, and if I burn 4000 pph per engine I can get M.95, though that's a bit extreme. Be careful on landing. With full flaps she'll develop a good sink rate quite easily on short final. It'll test your skills! N7201U flew rock bands for several years, but the JT-3C engines began having issues. It wasn't economical to get new ones, so she was parked in the desert for about eight years until the USAF bought it for spare parts for their aging KC135 fleet. 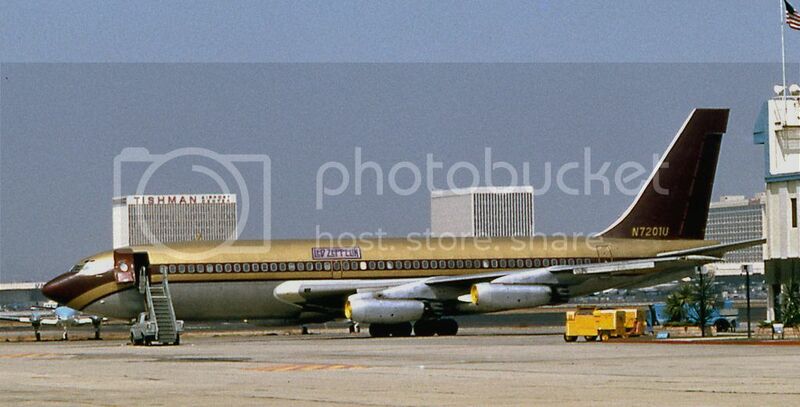 Trivia: At one point tLed Zepplin switched to a Falcon 20, but they encountered some serious turbulence on a flight from SFO and their manager, Peter Grant, a nervous flyer, immediately switched back to the Starship. Will drive our ships to new lands, ..."